Is there an excess of houglass clips being produced that have to be put on every model? - lanyard hole - it's small because there is not much space around, enough to annoy you when trying to add a paracord thru, so why bother adding it ?! This is an expensive model, so after reaching 200EUR mark would another 20 make that much of a difference in order to get it right? 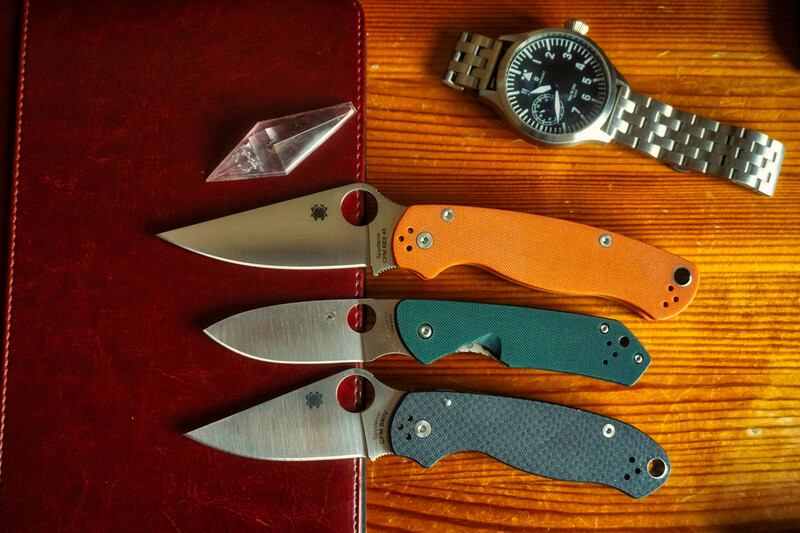 Seems like Spyderco is doing the knife and at the end is just going thru the motions: OK, now first let's drill a lanyard hole in the scales and then dump a clip on it way below that, job done! How is this going to be over time, will it bend further? 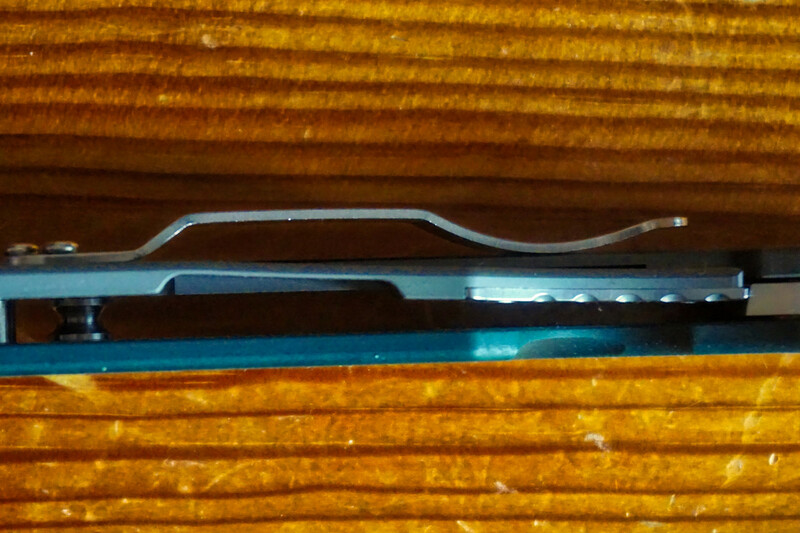 I guess time will tell..
Is this why the clip was positioned like this, not to touch the lockbar and add furher pressure on it? Such an aggressive review, I love it. Americans carrying 454 Casull's and Glock 18's into McDonald's was pretty funny! Not a sprint run. It's regular production. Nice review. I do like the design of this knife. The size and particularly the blade shape are very appealing to me. I am with you that the price on their Taiwan models still always surprises me as I am used to the hand tool world where high quality tools out of Taiwan are considerably cheaper than their USA and European counterparts and are of equal quality in many cases. I also agree on the clip placement. The fact thay there are so many people who basically buy a lynch clip for every para 3 should be a sign that people are trending more toward deep carry. I keep my knives stock so I live with the clip placement, but I would definitely prefer a deep carry clip, especially on smaller knives like this. A deep carry wire clip would have been great. 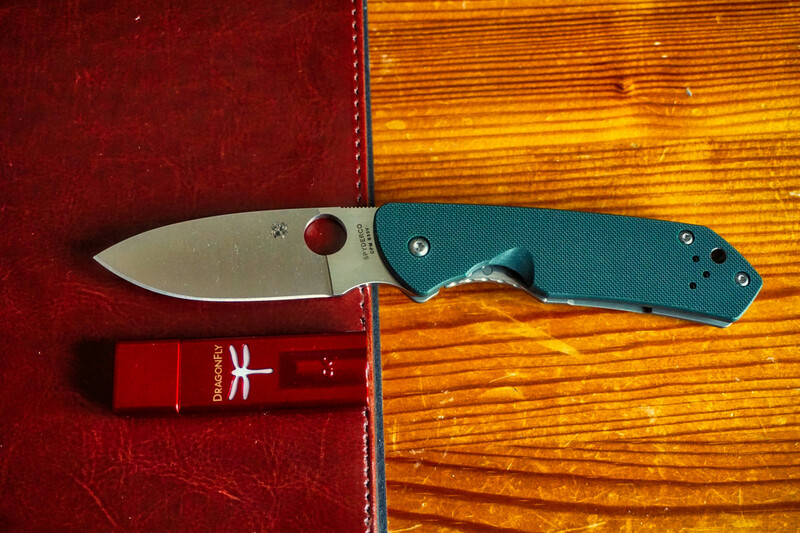 My suspicion is that there are more people who pass on Spyderco knives because of the clip placement than people who would pass due to a lack of a lanyard hole if a deep carry clip was priorized. I also just don't like titanium in general, which is obviously just a personal preference. I would have rather seen a walker liner lock like on the Military and then G10 on both sides. I do really like the looks, size, and blade shape of this knife though. Had it have been just a regular old G10 model with a liner, comp, or back lock I probably would have grabbed one. I hope to see more small knives with this blade shape in the future. Some small drop points would be welcome as well. Thanks for taking the time to post you thoughts. How does it cut? I don’t know why everyone assumes Spyderco accidentally makes the knife ride high in the pocket. 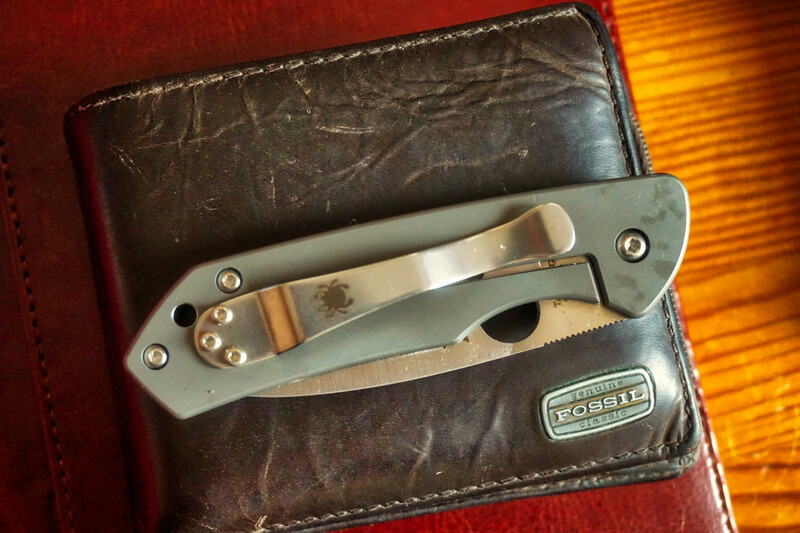 Some people want a pocket knife to be readily accessible. It’s easier to make a knife deep carry with an aftermarket clip than it is to do the reverse. 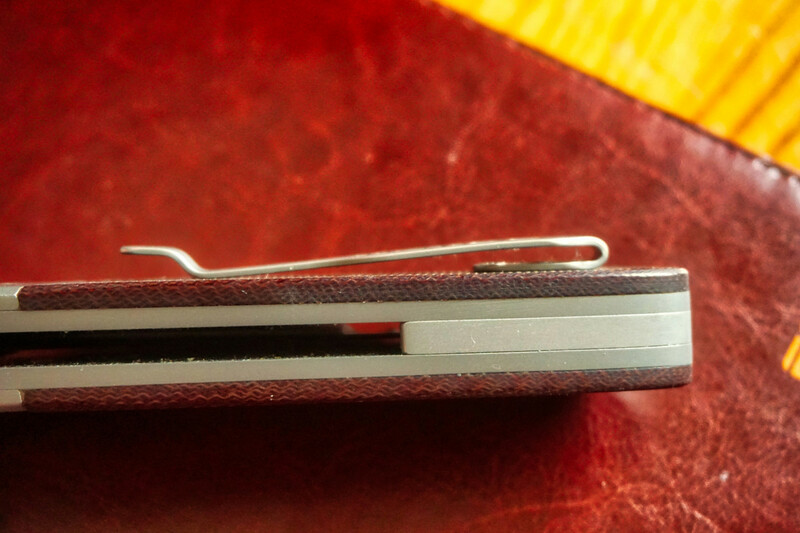 I don’t think I’ve ever seen a pocket clip that undoes deep carry. I don’t even know what to call a clip like that. If every knife was made with a deep carry clip, people would complain about that too. So, which way of life would you prefer? I sure like this knife too bad it's in S30v, was hoping for XHP when this knife was first announced. 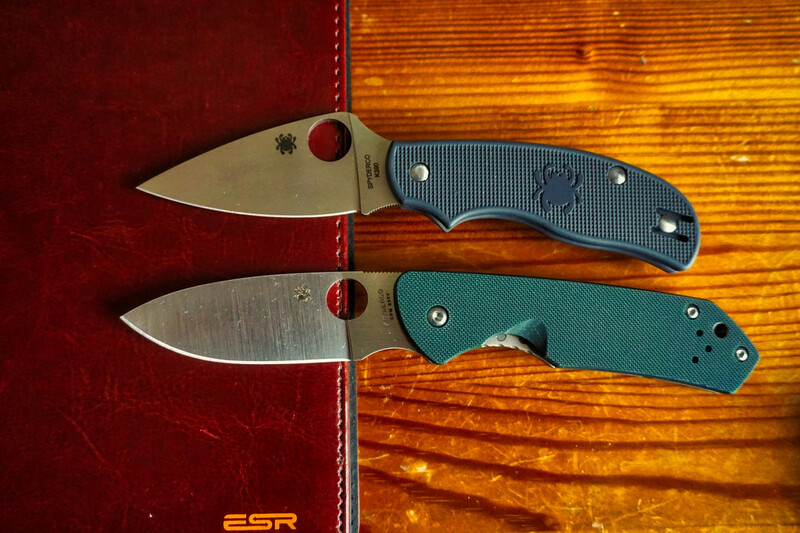 Liquid Cobra wrote: I don’t know why everyone assumes Spyderco accidentally makes the knife ride high in the pocket. Some people want a pocket knife to be readily accessible. It’s easier to make a knife deep carry with an aftermarket clip than it is to do the reverse. 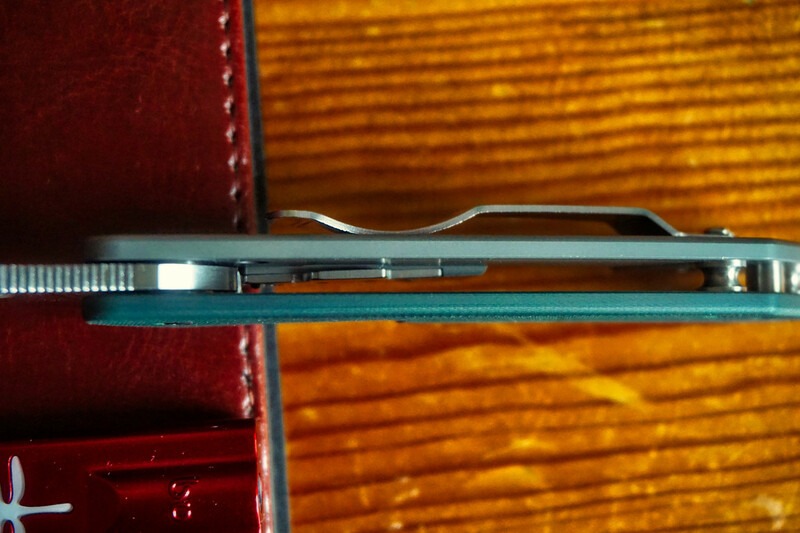 I don’t think I’ve ever seen a pocket clip that undoes deep carry. I don’t even know what to call a clip like that. Interesting opinion piece, OP. Preferences in firearms aside, I have to agree with Liquid Cobra. 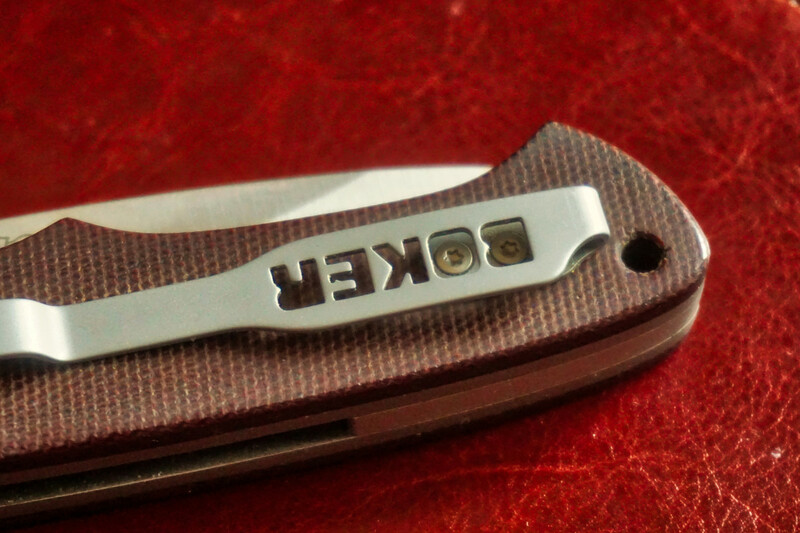 Just because a knife is made with the kind of clip and carry orientation (high or low) that displeases you does not mean it is flawed, or a bad design or somehow a serious failing by the designer or maker. A decision on what kind of clip and where it will be placed on the knife had to be made. Some people like it. Some people don’t. It’s not the end of the world. To be fair he never said it was the end of the world or even that it was a deal breaker. I also noted that he didn’t review at all the knife in hand or cutting with it, which are actually its strong points. Kinda like getting in a Ferrari and reviewing it only sitting in the driveway. Wanting deep carry isn’t the same as NOT wanting excessively high carry. I love this knife, and personally asked Sal at the Amsterdam meet to make it when Jerry brought his custom. However the knife is going to be in your pocket 100 times longer than it’s going to be cutting. The D’Allara (original) feels custom-fixed-blade good in hand, but carries huge, so Spyderco opted not to keep the contours on the second go around. I, like others, feel like the clip placement results in excessively high carry. I’m not even a fan of the wire clip, and have no interest in whether or not anyone can see the knife. I carry delicas and natives regularly, and think their clip is spot on: easily accessible but not prone to jab you when sitting. Long story short, the clip placement gripe is a fair one, especially on a knife that doesn’t go for bells and whistles, just basic features done very well. Wanting deep carry isn’t the same as NOT wanting excessively high carry. ... I, like others, feel like the clip placement results in excessively high carry. ... Long story short, the clip placement gripe is a fair one, especially on a knife that doesn’t go for bells and whistles, just basic features done very well. I missed your criticism that the OP didn’t actually review the knife in use. A serious omission. I also agree that criticizing the design for excessively high carry is valid. My comments were more directed at the “end of the world” complaints and cries of foul, bad design, and why doesn’t Spyderco produce what I want. I wonder if a poll focused on Brouwer owners clip preferences, and another on potential buyers preferences would be useful. I just got mine yesterday and I echo the OPs comments. Great size and shape but the lanyard hole Imo is unnecessary. I don’t mind non-deep carry clips and on some knives I prefer the standard height (pm2 is near perfect) but this one makes me nervous as a full 1/3 of the knife is exposed. Not only do I care if people notice me carrying a knife, I care about it falling out of my pocket or otherwise feeling awkward when clipped. I was lucky enough to buy mine with a discount for only $140 so even with a lynch deep carry clip I’m still below the full price. The thing I really don’t understand is why people say they won’t buy it because of s30v, how and when did s30 become a bad steel? Well I’ll be honest here. I said I wasn’t going to buy one solely because of the steel. I guess Since my main carry blade is M4 I just don’t care for how other steels preform. Nope not after those pictures. I’ll be buying one soon now. That just looks like a knife I can drop in my pocket and be a replacement for the old worn sak farmer that’s been riding back up for all these years. It just looks like it’s a very comfortable knife in hand. I could care less about the clip I’ll probably use it with out anyway. Grails- [/s]Pretty much anything in M-4. Looks like it has a green scale on it too,my favorite color. Is this a sprint run? I never remember seeing the original. Oh btw, S30v is a great steel! No, it is a regular production model I believe. I was looking through the catalog and it hit me. 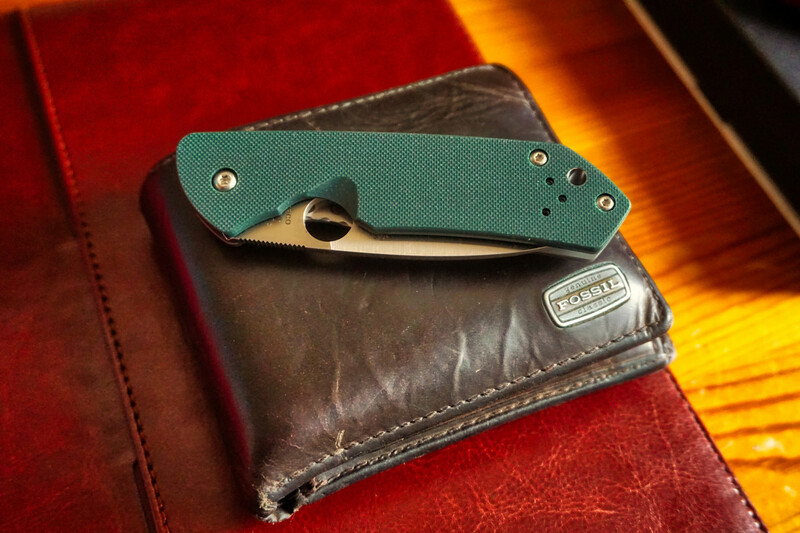 I would love to see this design done as a value folder next to the Cat and Chicago with a walker liner lock, green G10 on both sides, DLC BD1, and a wire clip with an emphasis on deeper carry. What a great little knife that would be! Not to mention it would likely be a third of the price. 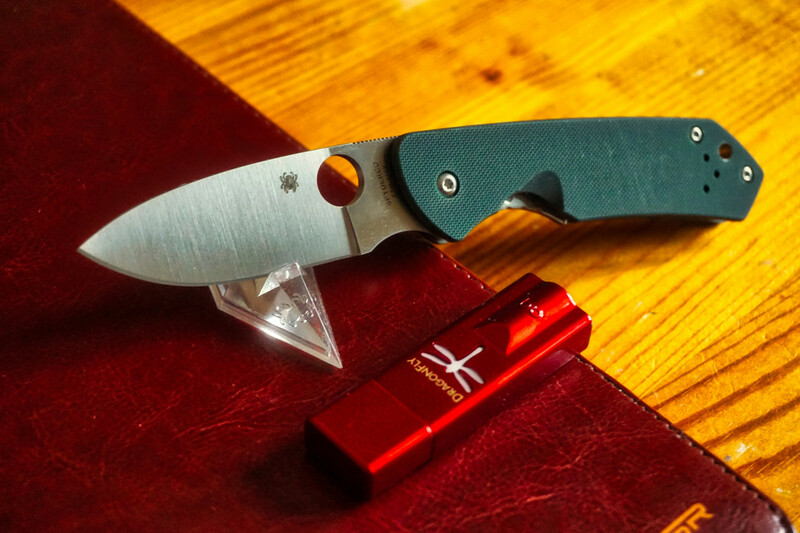 I REALLY love this design and the little kephart style drop point blade, but im just not into titanium R.I.L. knives.